FACADE European Skin Care is dedicated to providing the highest quality of aesthetic and nail services using superior professional strength products. 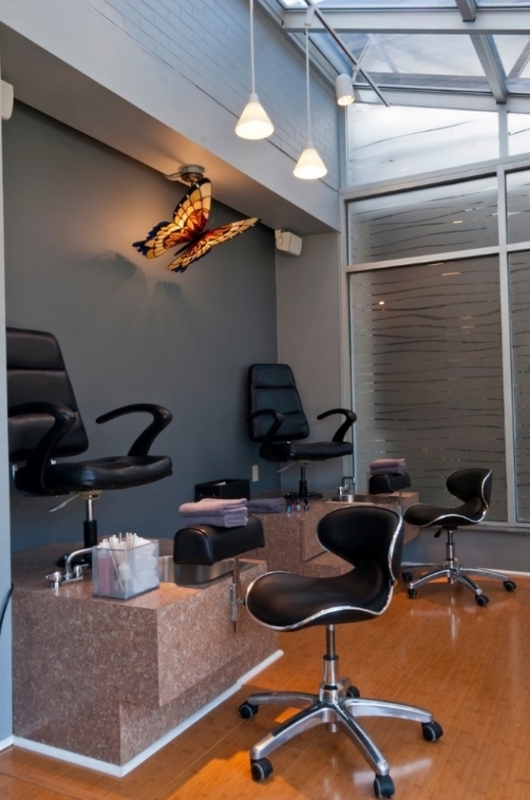 Our mission is to meet and exceed our customer expectations while providing a stress-free environment to allow our guests an opportunity to relax and feel pampered. Our featured line of Nelly DeVuyst skin care as well as a host of other professional products maintain the highest standards of quality and purity worldwide and are at the forefront of our corrective skin care treatments to nourish, balance and create radiance. 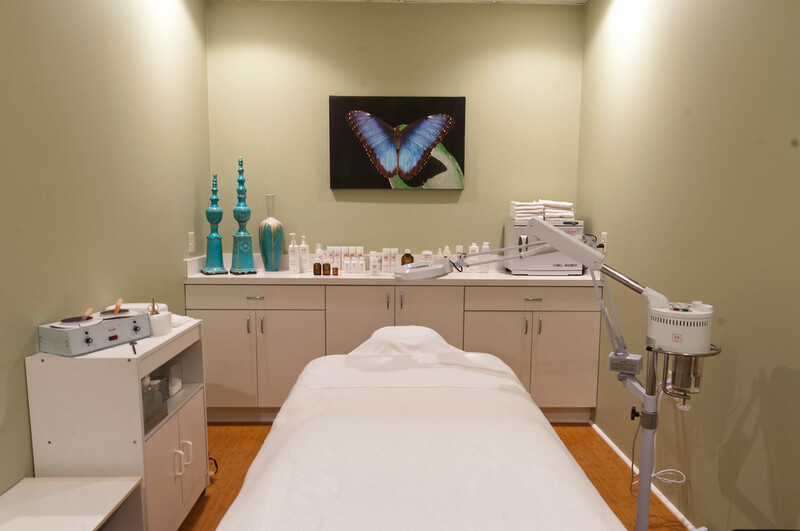 Our proven methods use non-chemical, vegetal peels and rejuvenating, corrective facials to firm the skin, stimulate collagen, and give a radiant glow. 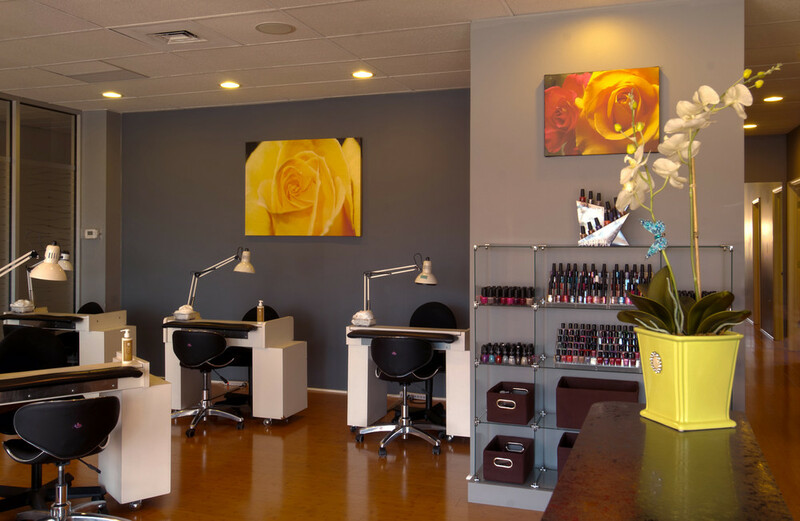 Our skilled nail technicians perform a variety of nail enhancements such as silk and linen wraps, acrylics, shellac, gel, manicures and pedicures. We provide a clean and sanitized environment for our clients using medical grade products and pipeless, stainless steel sinks to insure maximum antimicrobial protection. Prices are subject to change without notice. A 24 hour cancellation notice is appreciated. Spa parties/Wedding Parties are available! We accept Visa, Master Card, Checks & Cash. Cash tips are graciously accepted but cannot be placed on credit cards. A deep cleansing facial that makes your skin say "Thank you!" A perfect start to your skin care needs, this is a shortened version of our corrective treatments. You will look and feel refreshed. The Bul'Mask Facial is a complete method of treatment allowing the therapist to perform personalized skin care for the client. This modern and corrective method is ideal for all skin types. The results are spectacular and long-lasting. 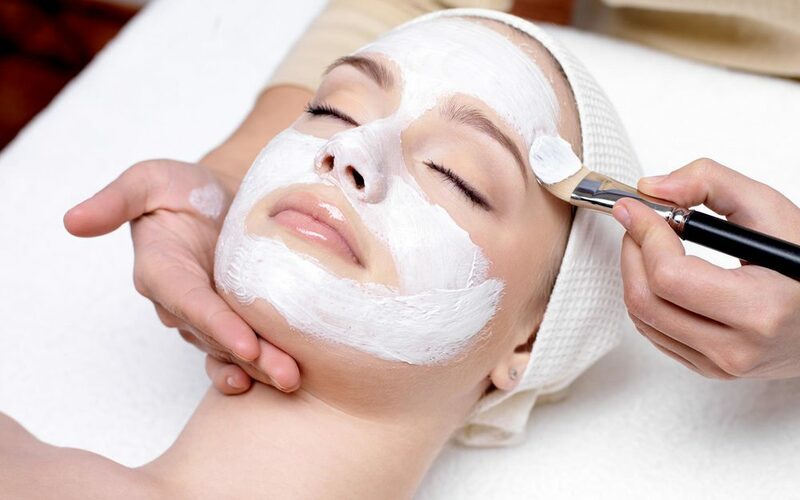 A personalized treatment which allows the technician to address the skin's special needs. The ultimate treatment for firming and lifting. This treatment provides an immediate lift for the skin, as well as long-term action on the dermal level to stimulate fibroblastic activity. The ultimate visible rejuvenation appears during a two-day time frame. Results are enjoyed for ten days. A process where by crystals remove the dead cells and favor cellular division, thus stimulating collagen and elastin. Microdermabrasion associated with with Nelly products allows for the improvement of the appearance of scars, superficial wrinkles, pigmentation, dilated pores and an overall brightening of your skin. For maximum results, a series of three or more is recommended. This is the same as regular Microdermabrasion however Nelly DeVuyst corrective skin care products are applied allowing a complete penetration of active ingredients to repair and balance your skin. This treatment includes light therapy for severe acne. A relaxing, detoxifying treatment whereby heat and essential oils are massaged into the skin, helping to eliminate toxins, cellulite, and prevents water retention. Leaves skin supple and soft. Warm dip to penetrate cream and soften skin; soothing joint therapy. Swedish massage is exceptionally beneficial for increasing the level of oxygen in the blood, decreasing muscle toxins, improving circulation and flexibility while easing tension. We use Soothing Touch massage oil, a nut-free, fragrance- free, light oil blend that moisturizes. A gentle, noninvasive approach to enhance and improve circulation, relieve mental and physical fatigue and ease discomfort from pregnancy. Founder Bernadette Ferry-Verbonach was introduced to the world of professional skin and nail early on. Like most aspiring students she was passionate, eager to learn and ready to work hard. Employed as an aesthetician and nail-tech at a handful of high-end salons and with exposure to Merrill Norman and Nelly De Vuyst product lines, Bernadette learned that her current employer was closing their doors. Bernadette was back on the hunt to find employment in a salon where she could do what she loved in an atmosphere that fostered high standards and practices. After some weeks of looking for the right environment, Bernadette’s father encouraged her to open her own business and offered support. In 1990, at the age of 21, Bernadette opened FACADE European Skin Care Salon in Mt. Lebanon featuring the Nelly DeVuyst skin care line. Some 25 years later and still focused on high quality skin care and nails, Bernadette and her professional team of skilled technicians are a fixture in the Mt. Lebanon community while satisfying a wide range of customers.